A stay in Paris isn't complete without a cabaret evening. 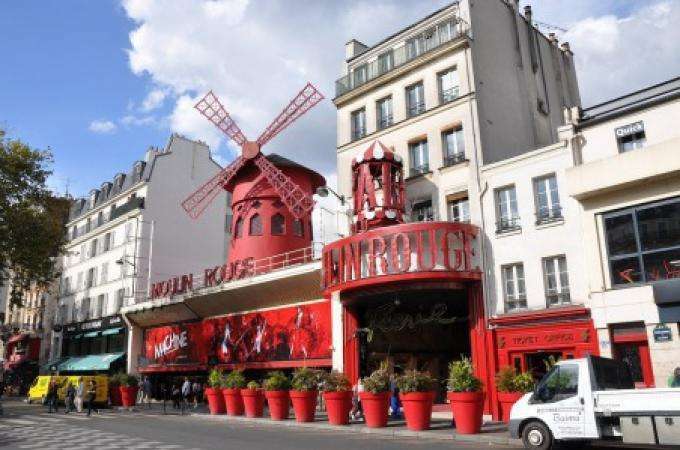 Montmartre is full of world-famous establishments like Michou, the Agile Rabbit and the Paris Carrousel. The Hotel Vice Versa invites you to discover some of the legendary cabarets where glamour and conviviality come together in a festive clash of feathers and glitter! The Moulin Rouge, its famous Doriss Girls and its many talented artists offer you a night of fun and music to the beat of its "Féérie" revue. It's a show full of surprises, and dances include the timeless French CanCan. Sumptuous sets and artistic performances are as sparkling as the bubbles in the champagne that you'll enjoy during the evening. The Lido has "Paris Merveille" at the moment, an exceptional revue that pays homage to the City of Light. Immerse yourself in an enchanting world as you marvel at the beauty of the BlueBell Girls, the feathered costumes, the splendour of the paintings and the quality of the stage performances. The cabaret also offers a refined menu based on fresh, seasonal produce. The Crazy Horse is known for its glamour, its refined elegance, its luxury and that special touch of boldness. The "Totally Crazy" revue brings together 65 years of artistic know-how in a spectacular 90-minute show that cabaret founder and creator of l'Art du Nu Alain Bernardin would be proud of. "Totally Crazy" is a playful, fresh and unashamedly glamorous show! A more Parisian cabaret and a classified historical heritage site, the Paradis Latin presents " "Paradis à la Folie". This new revue combines the French CanCan with acrobatic shows and catchy tableaux that will leave you starry eyed.